You have added Lindsey Pencil Dress in White into shopping cart. FINAL SALE. This cute little cotton blend pencil dress comes in two colors to choose from—you’ll want one of each! The Lindsey Pencil Dress is made of a sturdy fabric with a bit of stretch to it. 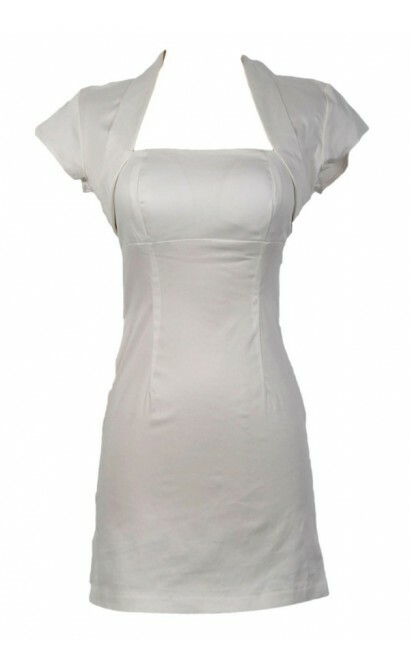 It has a simple square neckline, empire waist, and lined and lightly padded bust. The fitted pencil cut is a classic look perfect for any event when you want to look sophisticated and stylish. The unique layered detailing at the neckline continues around the back and closes with two hook and eye clasps. The cutout fabric detail in the back adds a flirty touch. The Lindsey Pencil Dress would look great paired with pumps and some pretty jewelry. This dress is a blank canvass you can accessorize any way you like. Also available in Black. Details: Made in USA. Lined and lightly padded bust. Hidden back zipper. 97% cotton, 3% spandex. Dry clean only. Small measurements: Length from top of shoulder to hemline: 32”. Bust: 34”. You have added Lindsey Pencil Dress in White into Wishlist. You have added Lindsey Pencil Dress in White for Stock Notification. 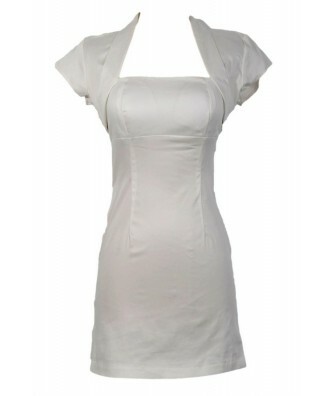 You have set Lindsey Pencil Dress in White as a loved product. 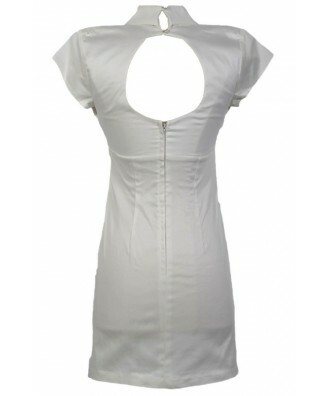 You have removed Lindsey Pencil Dress in White as a loved product.